Our 10-Year Anniversary Celebration was a huge success thanks to YOU! We received over 80 nominations for extraordinary women in our community. Our 3 All Day Retreat Winners are: Donna Thurman, Nikki Flanders, and Lindsay Smawley. Because we were so moved by the stories that you shared, we also gave away 2 Half Day Retreats to Melissa Young and Terri Bridges, as well as 14 single services and 35 gift certificates. Thank you, Rocky Mount, for participating in our anniversary celebration and for recognizing that we are a community filled with amazing people. We appreciate your continued support. For 10 years, The Vintage Spa has had the distinct pleasure of operating as a full service salon and spa in Franklin County. 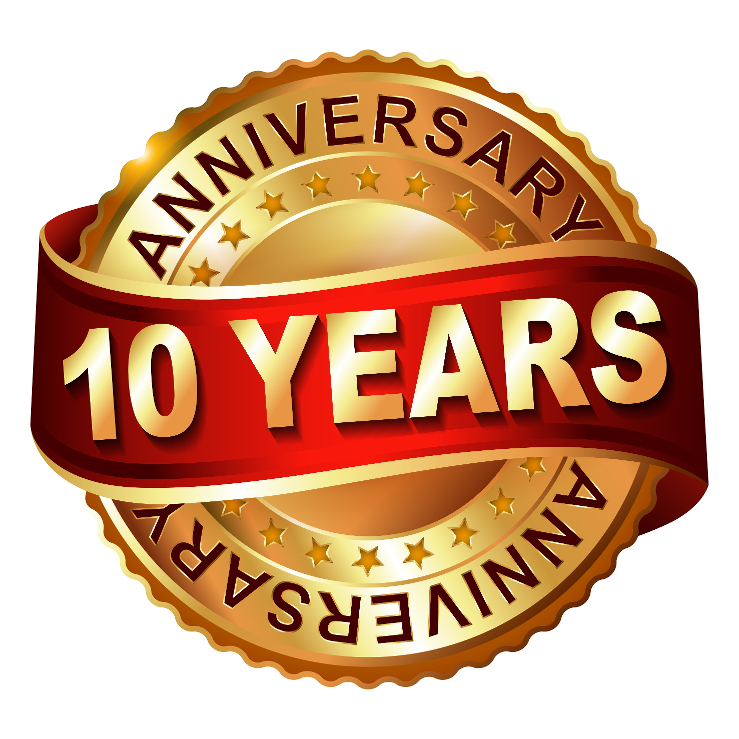 On November 7th at 2PM, we will be hosting a 10-year anniversary celebration on location. Refreshments and entertainment will be provided along with a special goodie bag to each attendee. During the month of October, we want you to nominate an exceptional woman you believe is well deserving of an All Day Spa Retreat. A simple submission via Facebook, ﻿our Contact Form, Email, or even a hand-delivered letter will enter in that very special woman for a nomination. Please include the many reasons why the woman you are nominating should be selected. The three winners will be announced during the 10-year celebration event held on Nov 7th. Anna Kim, originally from the Ukraine, spent a number of years in Pennsylvania where she developed her passion for the hair industry. As a young woman, Anna’s faith brought her to Blue Ridge Bible College in Rocky Mount, Virginia where she met her husband John. The two soon married, settled locally, and started a family. Anna began working as a hairstylist and nail technician at The Vintage Spa and quickly worked her way up to part-owner and eventually full-owner at its current location on 5 North Main Street in Rocky Mount, Virginia. Anna and John’s family now consists of four young boys whose ages range from 8 years old to 16 months. Although building a business and starting a family at the same time was challenging, support from her husband and from her loyal clientele made her career as a spa owner very rewarding. Many of The Vintage Spa’s current clients have been with the business from the very beginning and have given Anna a sense that they are like family to her. The Vintage Spa’s mission is to be the Spa of Choice in the Franklin County area where loyal guests' lives are enriched by well-trained and caring staff members who are committed to delivering a total quality experience through knowledge, experience, and innovation. Many of the staff members are trained in multiple professions including in the areas of health and education. The Spa’s staff consists of: Kathy Hall, licensed X-ray technician and massage therapist who has been working with us from the very start of the business, specializes in Deep Tissue and Prenatal massage; Linda Atwell, massage therapist and licensed RN, is a certified reflexologist and specializes in Hot Stone Therapy; Tonya Phillips, esthetician, certified laser specialist, and electrologist, specializes in skin care services; Addie Vazquez, hair stylist and nail technician, specializes in nail art who has quickly earned a reputation for doing amazing spa pedicures; Alisha Bennett, cosmetologist and art educator, specializes in body waxing and makeup application; Anna Kim, hair stylist and master colorist, specializes in hair color, hair texturizing, and special occasion hair design. The Vintage Spa is also privileged to work with other capable providers in the esthetics, hair, and massage therapy industry: Amanda Chatttin, Victoria Newton Pinkstock, Kaydi Seaman, and Rachel Lewis. You will be charmed by the spa’s layout and beautifully appointed seasonal décor along with its welcoming musical atmosphere. Guest privacy is ensured by spacious designation allocated to each specific service the spa offers allowing optimal relaxation no matter where you are in the building. Gourmet teas and coffee can be found in the front and is always complimentary. Being one of the very few businesses in the area to offer off-site events, The Vintage Spa will come to you. We are also one of the only spas sizable enough in the area to provide services for large parties and events such as Weddings, Graduations, Showers, and Retirements. The Vintage Spa is also expanding its online platform through its website, Facebook page, and Instagram. There you will find updates on the latest hair fashion trends and take advantage of online specials offered to its followers. Our new online shopping cart allows the purchasing of gift certificates and makes gift giving a breeze. Thanks for ten wonderful years, here’s to ten more!! !